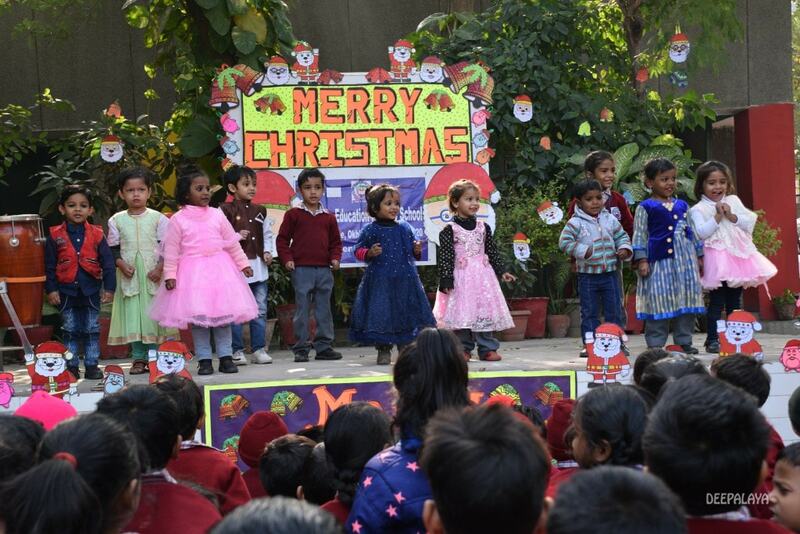 New Delhi, 21st December 2018: Commemorating the year-end festive season, pre-celebrations of Christmas were held today at South Delhi Municipal Corporation (SDMC) Primary School, near Okhla Water Tank. 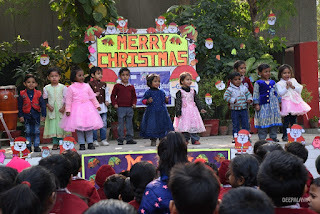 To mark the occasion, a cultural programme was arranged at the school premises, where both students and teachers took part with equal amount of enthusiasm. The programme began at 10.30 AM with a welcome song “Swagatam” by a group of students from the 5th standard. A dance mash up by the nursery and KG students on “Zoobi Doobi” and other Bollywood songs enthralled the audience. Mr. A J Philip, Secretary and Chief Executive, Deepalaya motivated the students by narrating a story written by American author O. Henry; this story “The Gift of Magi” is a sentimental tale of the challenges and selfless sacrifices of a couple to buy Christmas gifts for each other. The moral of the story was that love is precious and priceless at the same time. Mrs. Jaswant Kaur, Executive Director, Deepalaya and Mr. Jagmohan, Principal of the school also gave speeches to inspire the students in academics and extra-curricular. Under the guidance of music teacher Mr. Himanshu Anand, students from various classes put up song performances too. Befitting the occasion, songs like “Ghanti Bajao Santa aya” and “Jingle Bells” were played. Some of the children dressed up as young Santas to mingle with the rest of the children and distribute gifts. Mamta, a student of 5th standard presented a song highlighting the message of “Swachh Bharat”. Towards the end, refreshments were also distributed to more than 200 students who attended the function. Considering the poor quality of education in the government schools, South Delhi Municipal Corporation (SDMC) under the school quality enhancement programme (SQEP) identifies and partners with non-profit organizations with proven track record of working in the education sector. As a part of the project, Deepalaya NGO has collaborated with SDMC for running the SDMC Primary School located near Okhla Water Sewage Treatment plant, with an objective to improve the quality of education, devise innovative curriculum, increase enrollments and improve learning levels. The students enrolled in the school come mostly from economically weaker sections and nearby slums. Over the last two years, the project has shown tremendous improvement in terms of student attendance and retention after Deepalaya stepped in. The learning levels of children have improved significantly, and students and parents are now taking keen interest in the school activities.